Corporate wellbeing, health and fitness are major topics, with both mental and physical health a focus for businesses looking to increase productivity and morale. 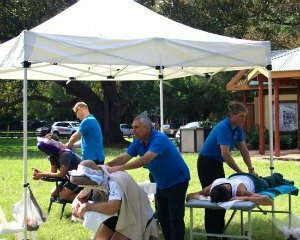 A more active approach in maintaining and promoting staff health and wellbeing is a proven investment, with Absolutely Corporate offering a variety of corporate massage and wellbeing services. In fact there are widely proven performance and efficiency gains for companies investing in health programs. We offer a number of Corporate Fitness services, including Health Assessments, Group Fitness Classes and Corporate Fitness Challenges that can help promote wellbeing and fitness within your organisation. Health Assessments help your staff identify potential health issues by looking at blood glucose, cholesterol, blood pressure, body composition and waist measurement. It’s a great way of kick starting health awareness and helping your staff take a proactive approach to towards better health. Or for businesses looking for a more active approach, we offer our Group Fitness Classes and Corporate Fitness Challenges, with plenty of flexibility to suit your needs. Group Fitness Classes can be run for as many as 30 participants, in 50-minute sessions and can be held before or after work hours, or during a lunch break, either at your place of business for convenience or at a nearby park. We’ve even got a number of different activities you can choose from, so you can pick what’s right for your staff or mix things up. 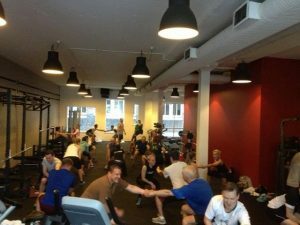 Corporate Fitness Challenges can offer a more competitive team-centric approach to health and wellbeing, and normally take place over 12 weeks, in one to two week interactive group activities. It’s the perfect option if you’re looking at building teamwork! For more information you can contact us for advice or a health and wellbeing plan individualised for your workplace and needs.